TORONTO - One of the women accusing former CBC host Jian Ghomeshi of violent behaviour is encouraging other potential victims not to be afraid of speaking with Toronto Police. 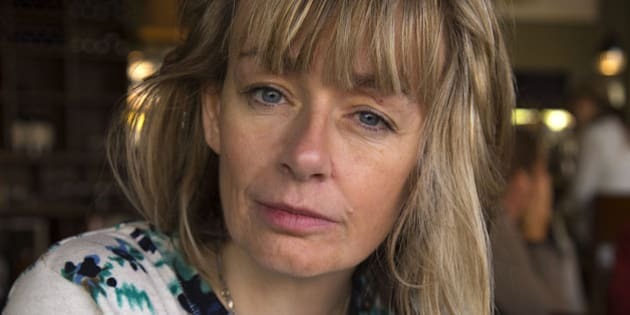 "Trailer Park Boys" actress Lucy Decoutere has issued a statement saying her interactions with officers were "warm and sympathetic." DeCoutere says police interviewed her on Thursday, adding the experience made her feel "warm and validated." Decoutere says she's sharing her impressions in hopes of making other women feel safer or more confident about reporting sexual violence. She is one of at least nine women who have accused Ghomeshi of violent actions or sexual assault, allegations the former host has disputed and said he will fight. DeCoutere accused Ghomeshi of choking her "to the point she could not breathe" and slapping her "hard three times on the side of her head." Decoutere is one of three women who have filed complaints against Ghomeshi with the police. Other alleged victims have told media outlets that they were reluctant to come forward in the past. Decoutere said she hopes her statement can dispel some of that fear. "I am making this statement because I know how scary it can be to come forward," she wrote in the statement. "Those considering coming forward should know that it was a safe place." The CBC cut ties with Ghomeshi after seeing what it described as "graphic evidence" that the "Q" host had caused harm to a woman. He posted on Facebook last week that he plans to confront allegations “directly," but said he won’t discuss “this matter” further with the media. He has not yet commented further on the accusations.